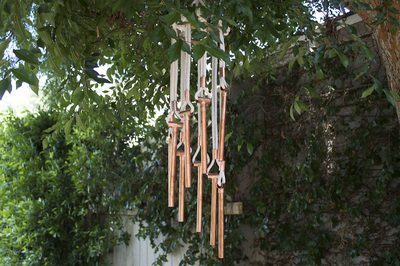 Wind chimes are usually hung as decorations to produce interesting background sounds in our gardens and houses, and a wind chime can also be used as garden art. 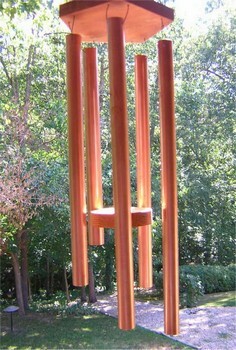 The copper on these wind chimes looks great and ages beautifully. And the sound from the copper is soothing, not overpowering. 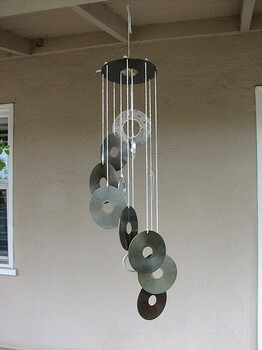 Make these wind chimes using a decorative fence post cap. 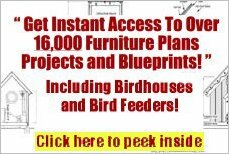 Another plan using metal tubes. 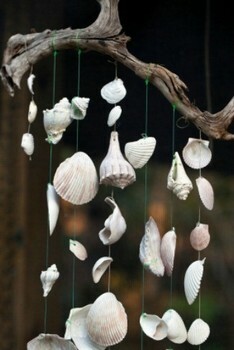 A set of seashell wind chimes is a great reminder of a summer vacation at the shore. Kids and adults love to collect shells, and here's something creative to do with them! 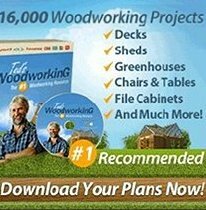 This project not only sounds weird, I think it is weird! 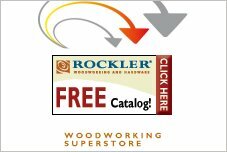 Anyway, it is a way to recycle that old 386 you still have in the garage. For this craft idea you’ll need at least eight pretty seashell specimens.